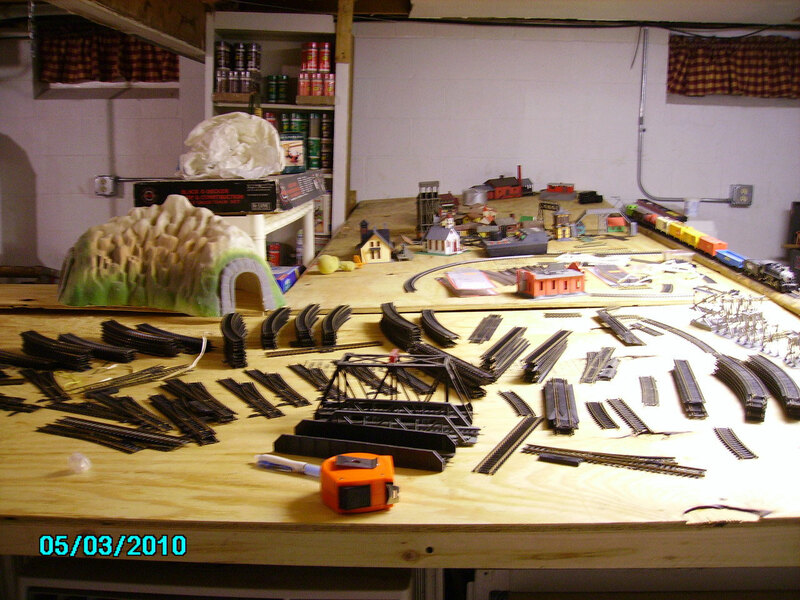 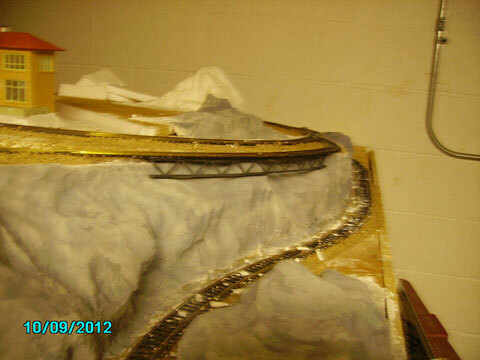 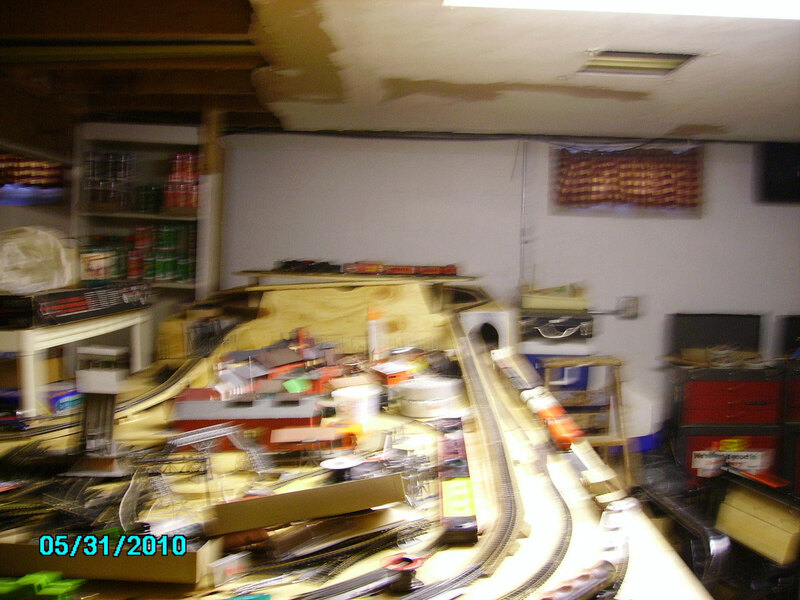 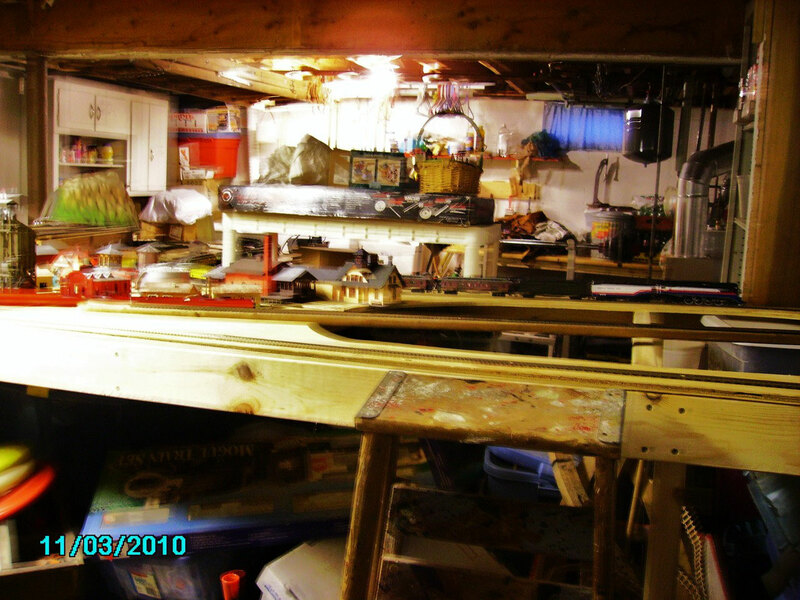 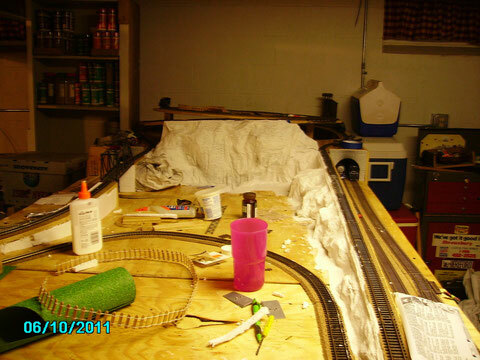 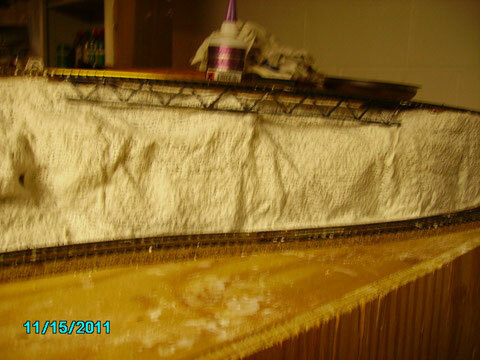 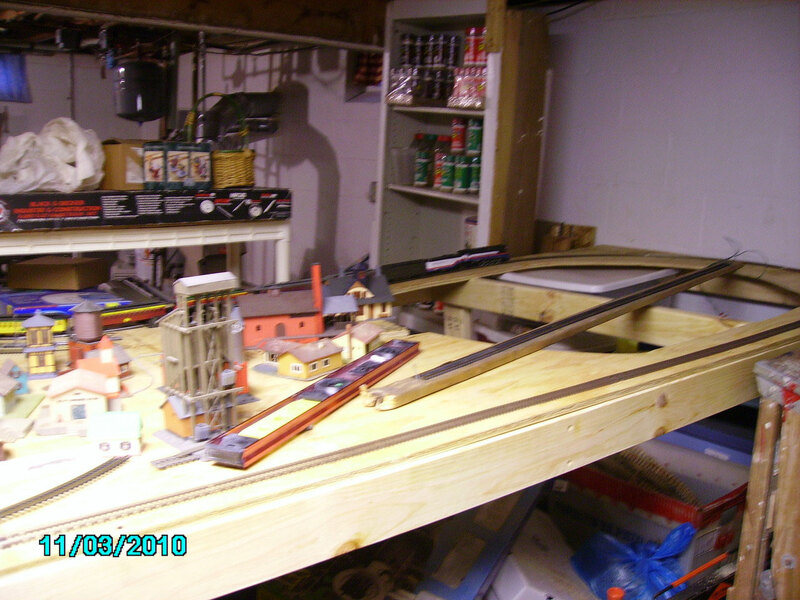 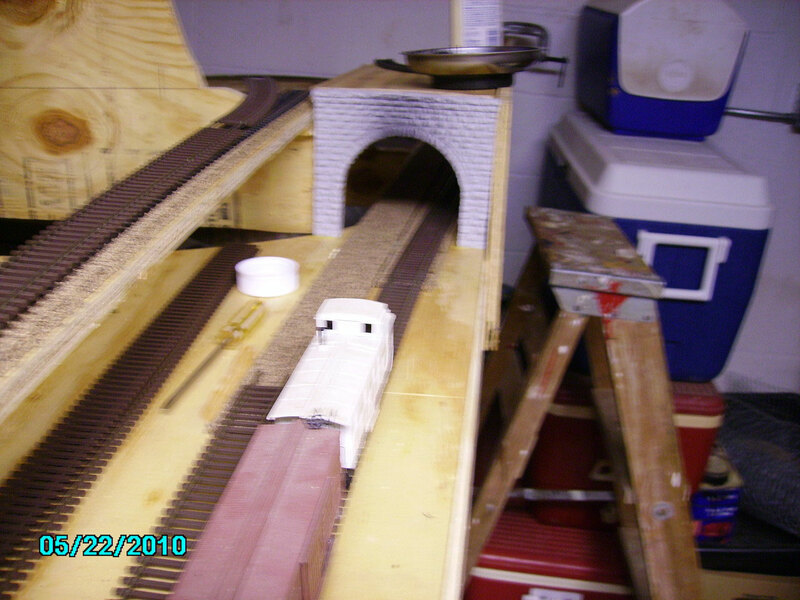 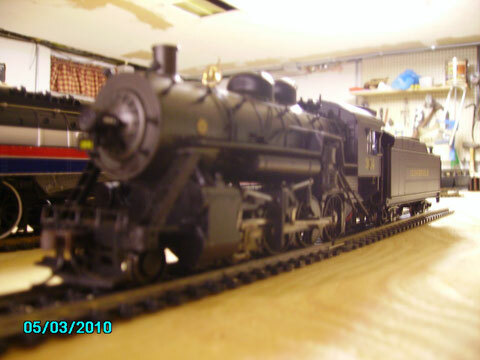 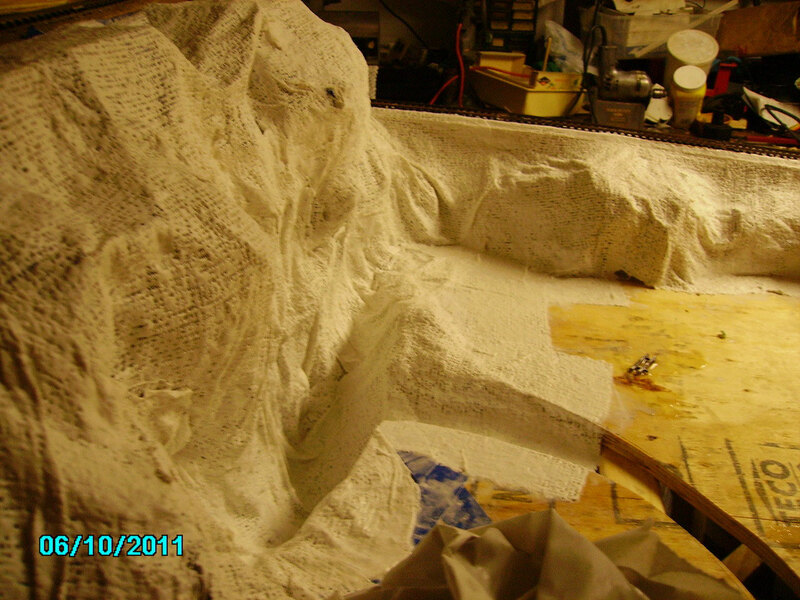 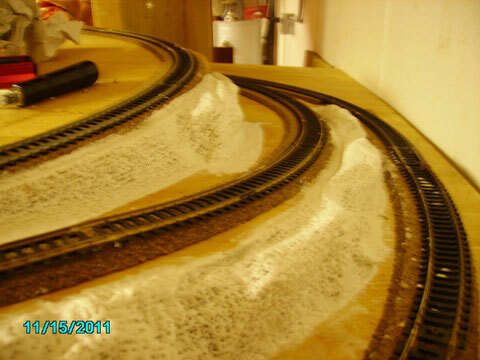 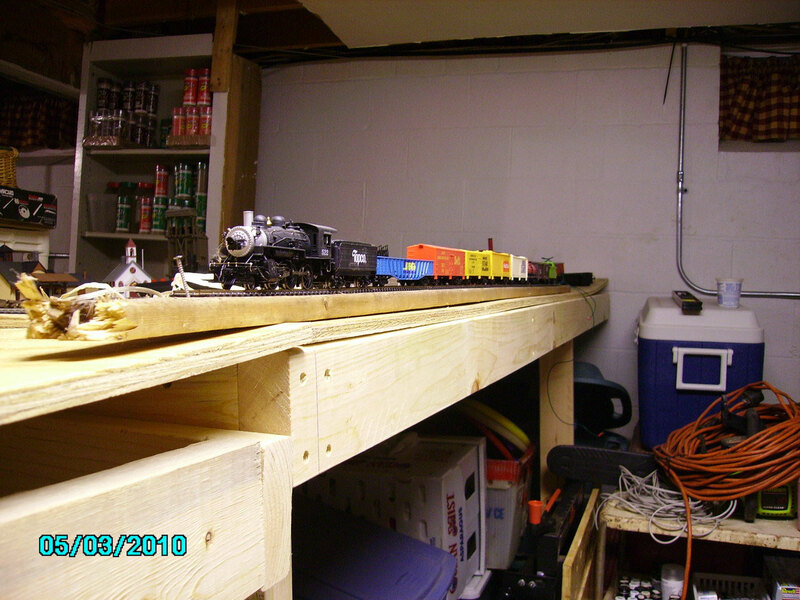 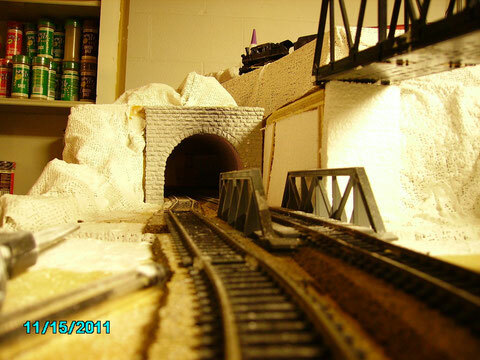 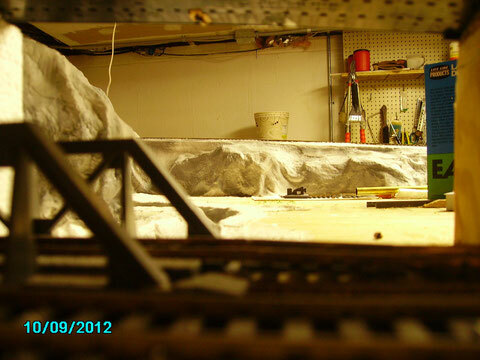 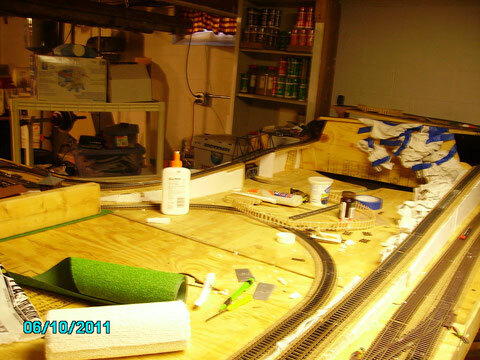 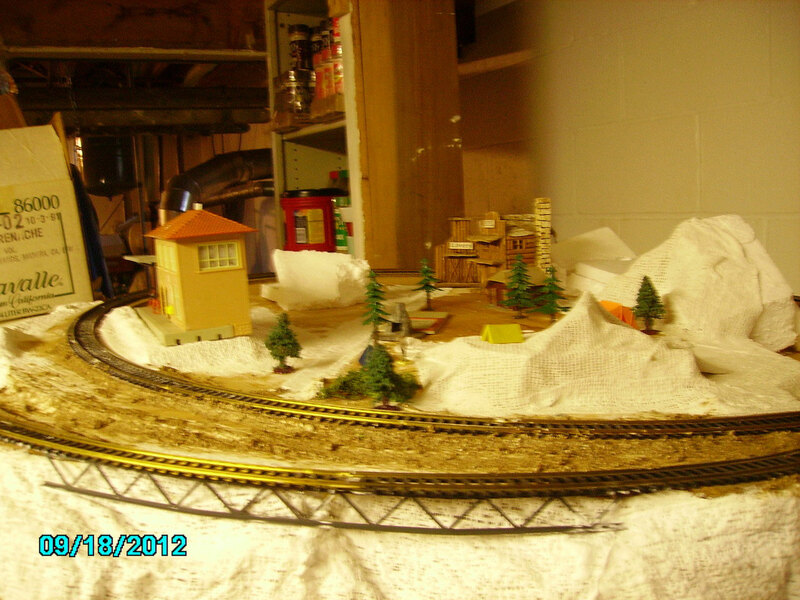 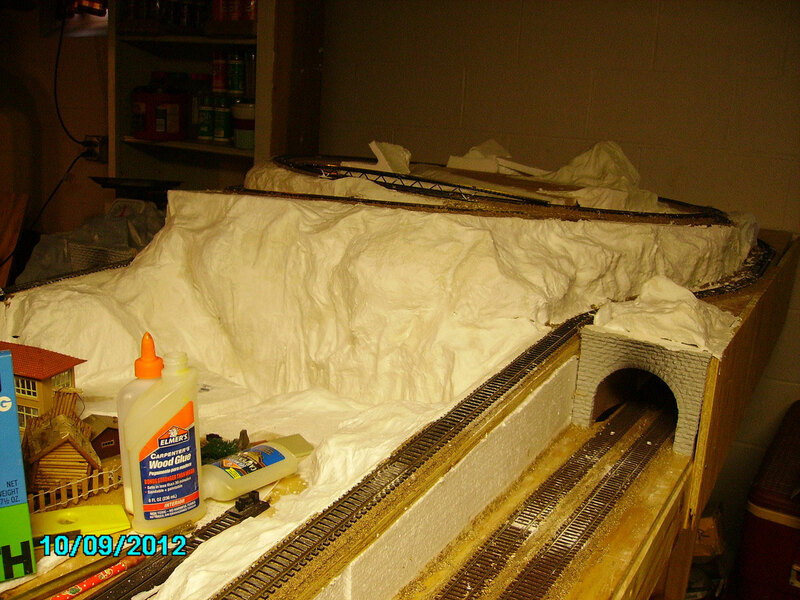 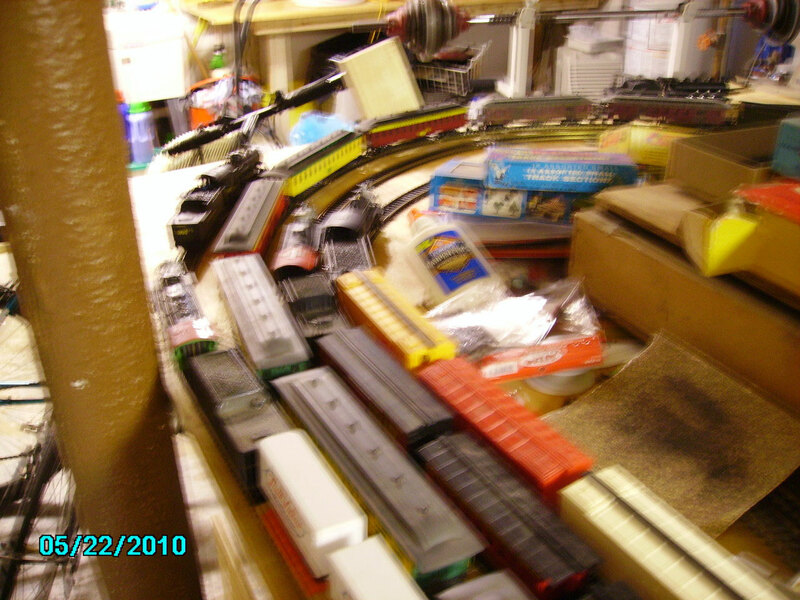 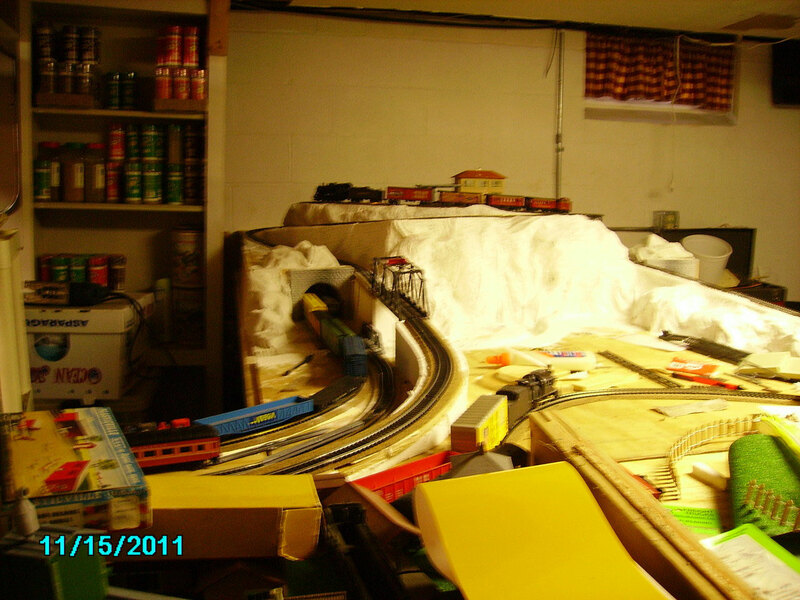 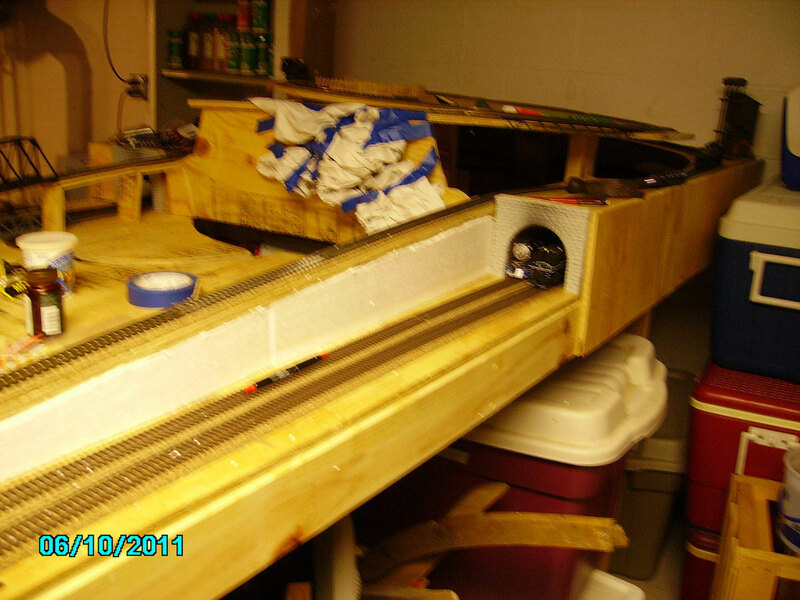 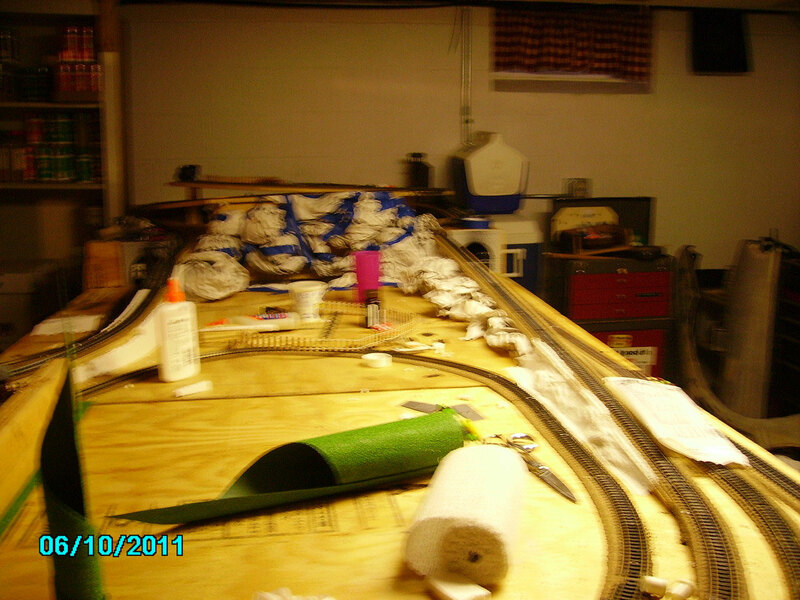 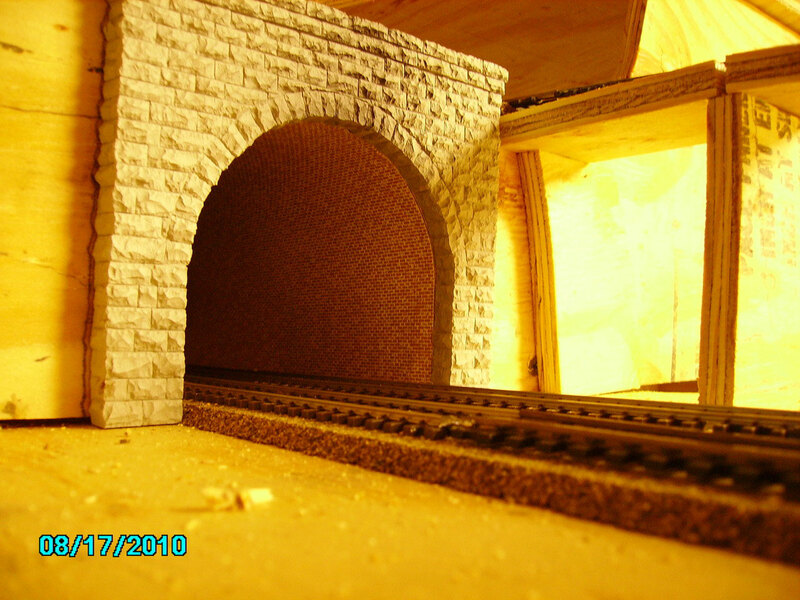 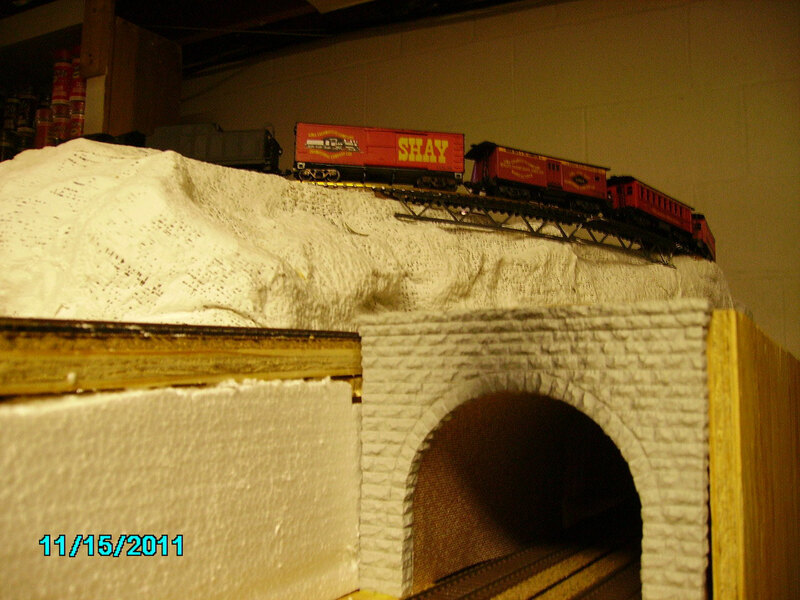 The Boss' Model Railroad under construction. Closer view of above photo, notice the holes?? This gives a different meaning to Cliff-hanger doesn't it? 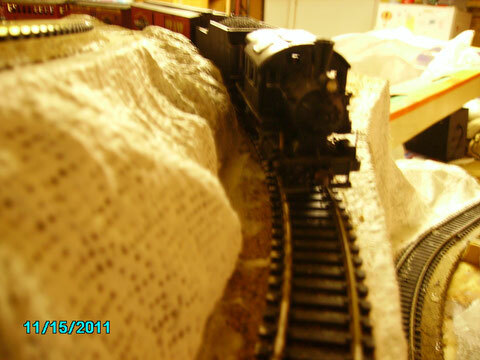 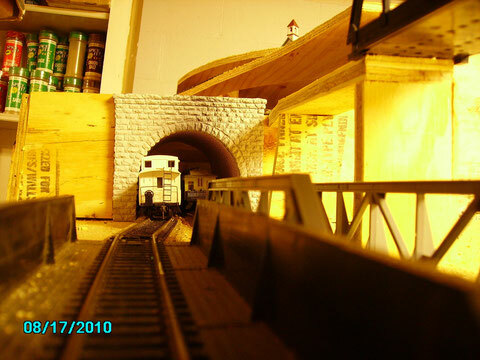 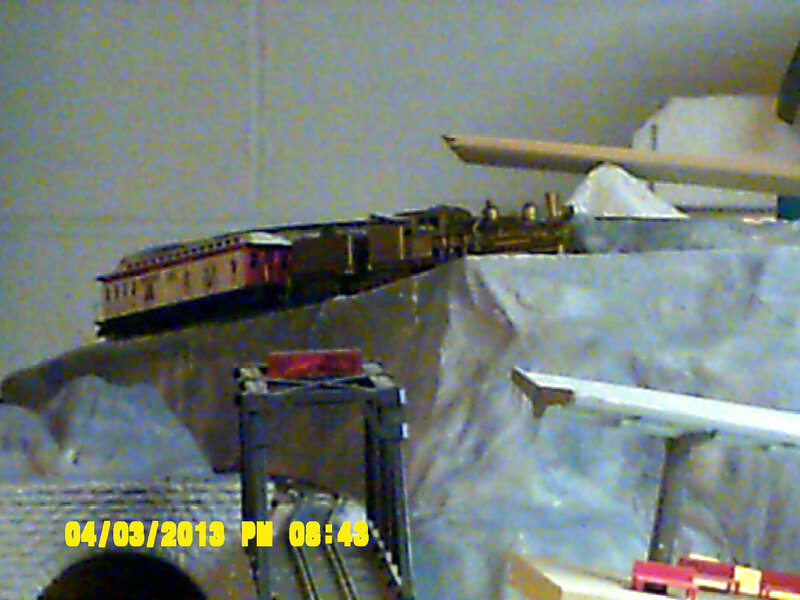 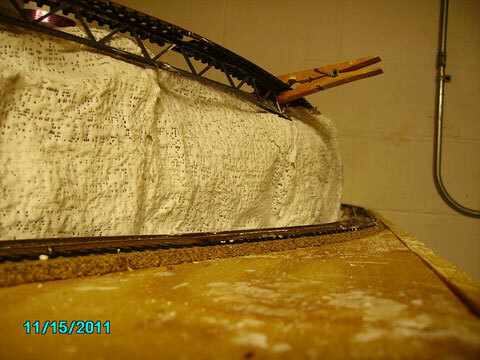 Notice that the train is sitting two levels above the main line? 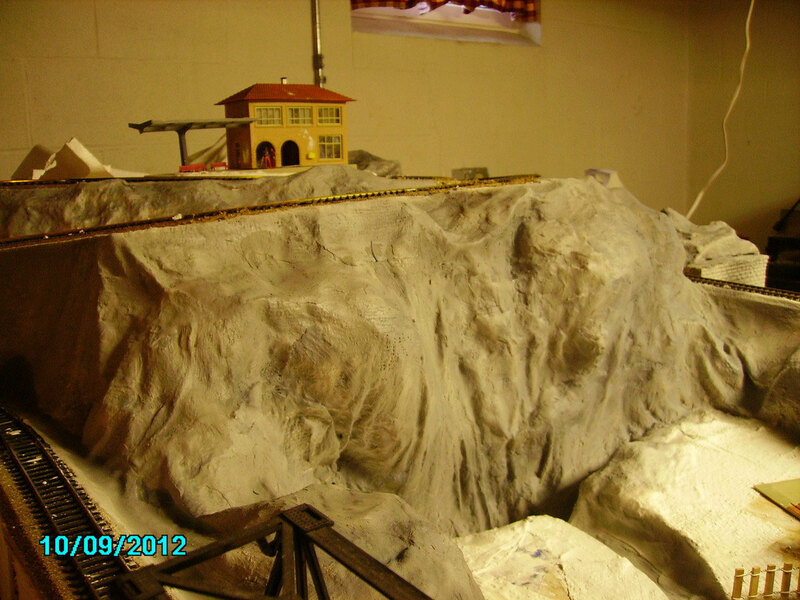 This Photo shows the height that the train on the mountain had to climb (the building on the mountain is level). 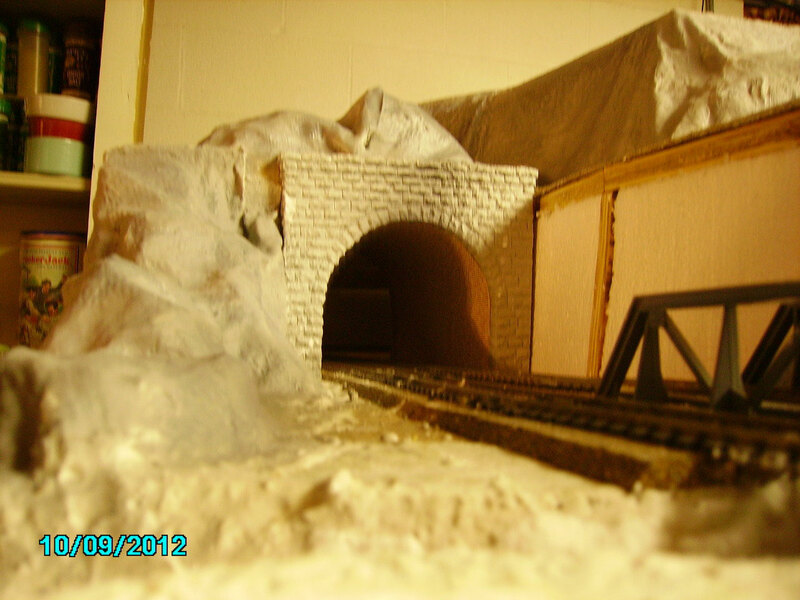 Want to go camping up there? 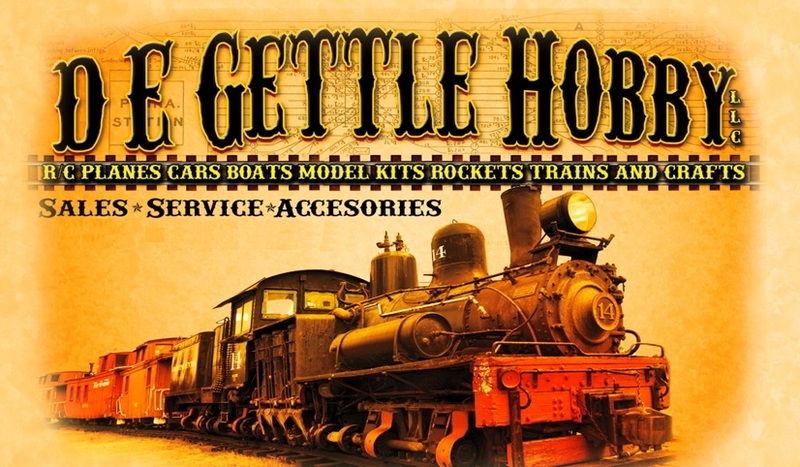 Hope you like trains, that's the only way to get to this campground. 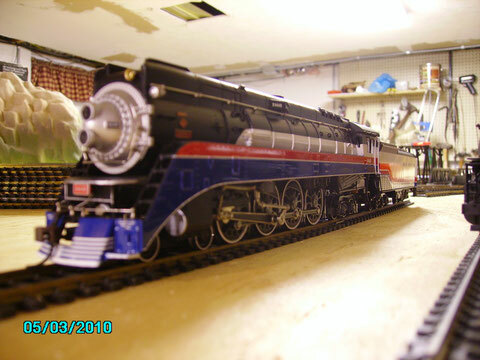 The Color variations are not an optical illusion That was done with an air-brush.